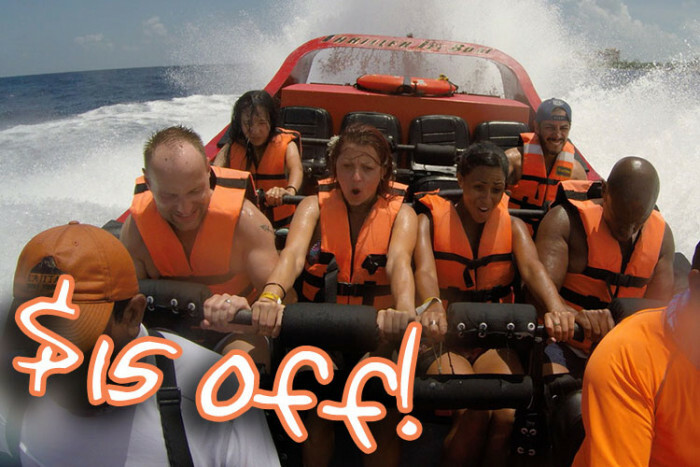 Not for the faint hearted: you'll need to relax on the beach after this thrilling 700hp jet boat ride! 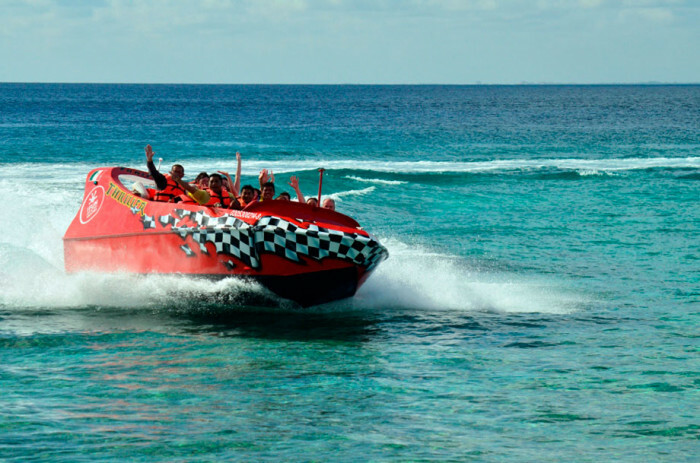 Climb aboard the jet boat and while you buckle up, your captain will brief you on safety guidelines and hand signals for your 30 minute action-packed journey. Once away from shore the fun starts! Hold on tight when your captain makes the signal for a 360° spin and neatly turns in a tight circle without losing momentum. 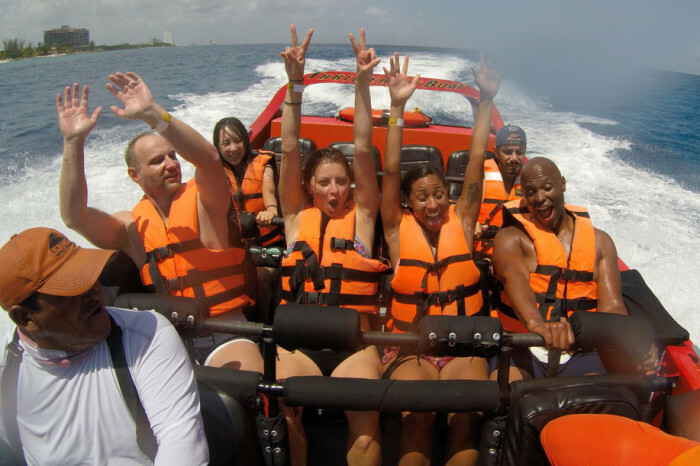 In between screams you can try to enjoy the amazing views and turquoise Caribbean Sea. 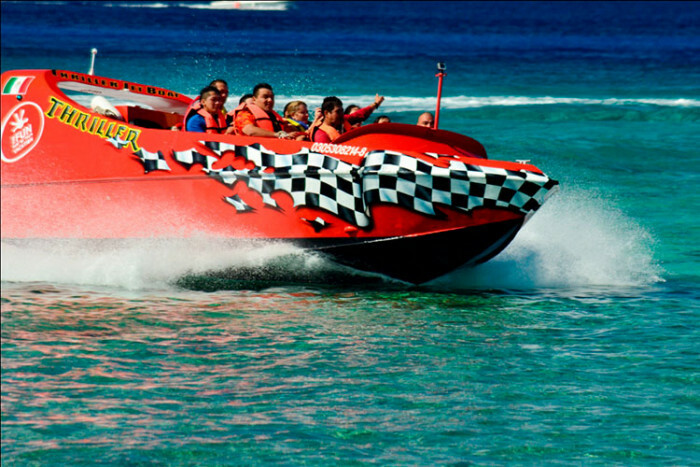 Every time the captain hits the gas you'll feel the adrenaline rush, soaring across the waves at up to 45mph (72kph). 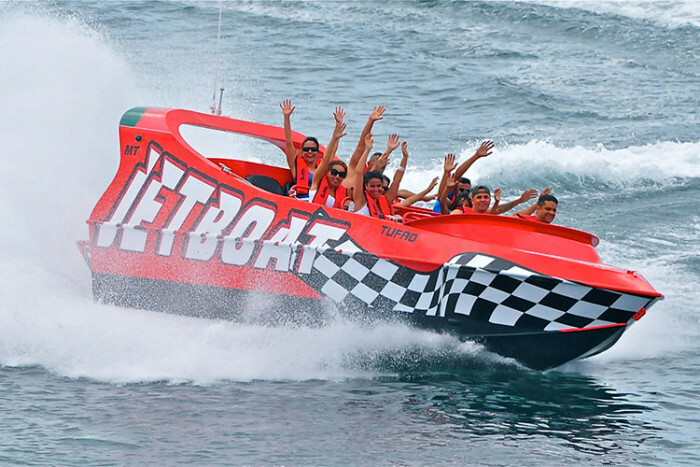 As the ride continues, the jet boat will stop at full speed, nose-diving and spraying passengers with a refreshing taste of the sea. 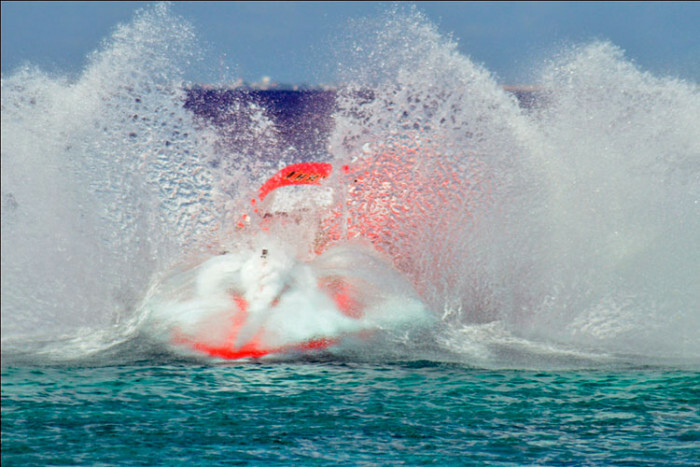 You'll then head back to shore with big smiles on your faces, your heart still racing while screaming "More, more!" "Had a great time! The Jet Boat definitely got the blood flowing! LOL"
Approx.1 hr with 30 min. boat ride. Daily departures, Monday to Saturday at 9:30am, 10:30am and 11:30am (meet 10 min. beforehand). 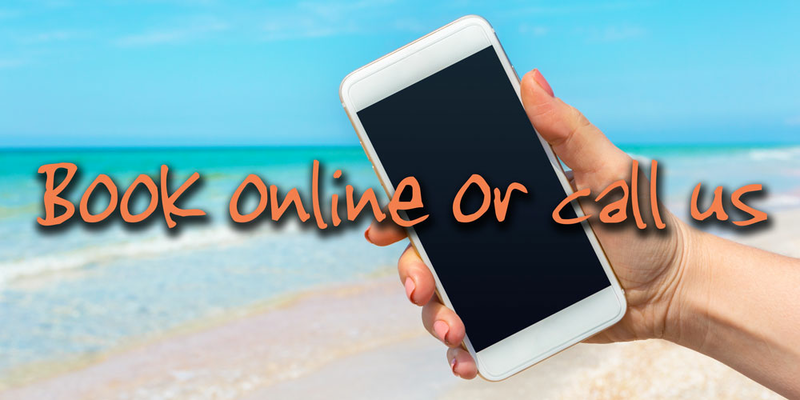 Bathing suit, towel, footwear that can get wet, sunglasses and sunscreen. A minimum of 5 people are required for this tour to operate. In the unlikely case that there are not enough people to run the tour you will be given a full refund. 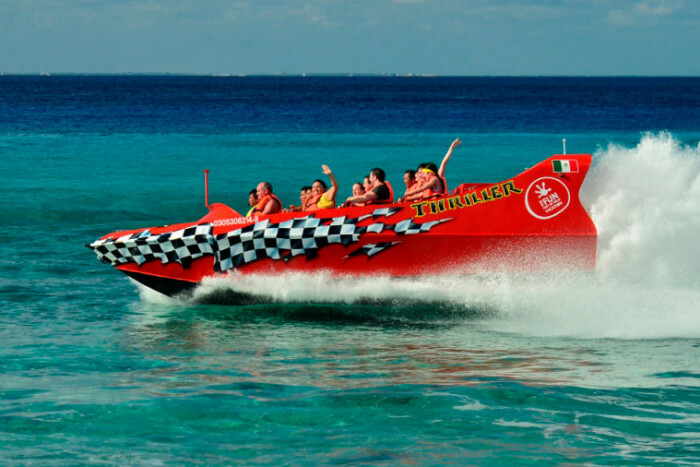 The boat ride is bumpy and has twists and turns, so it is not recommended for people with heart, neck or back problems. Pregnant women cannot take this tour. Maximum weight per person 300 lbs (137kg).